Ralph Breaks the Internet Is Better Than the First One! 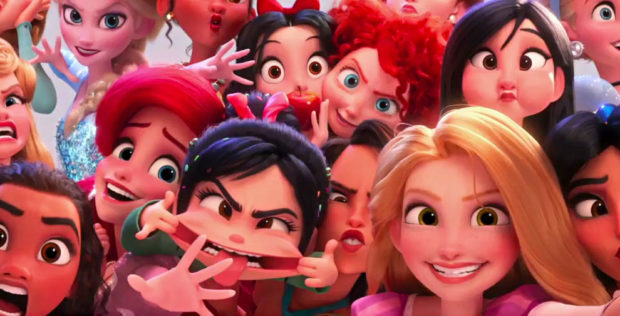 Ralph Breaks the Internet is a heartwarming sequel filled with laughs and meaning that makes it even better than the first Wreck It Ralph film. Disney Animation has created a film filled with references and inside jokes that add to the quality without taking away from the key character relationships that made the first film great. The story begins showing Vanellope and Ralph in their routines working within their respective video games at the arcade and hanging out in the evenings. Ralph is thrilled with the repetition, but Vanellope yearns for something more. When a broken piece from her video game sends them on a quest into the newly connected internet, the two learn more about each other, their friendship, and the world that they live in.